Supports iPod 5G, Classic, Nano, Touch, 4th and 5th generation. 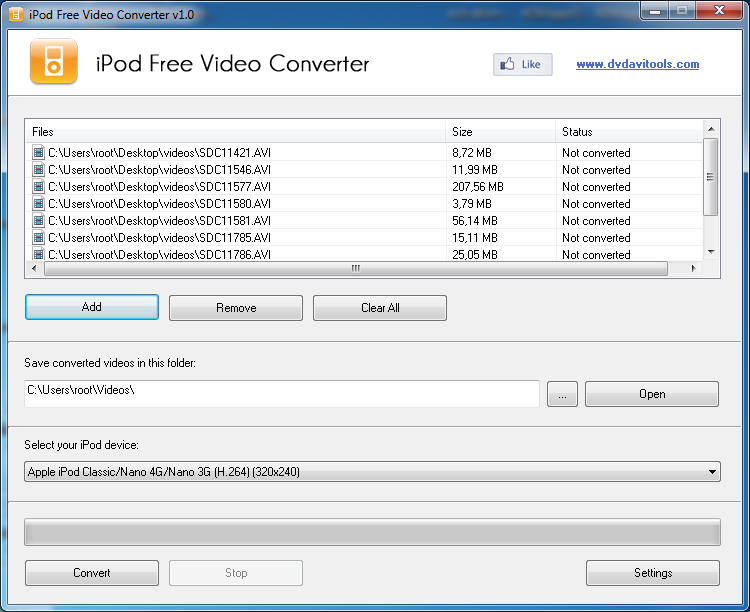 iPod Free Video Converter is a free software used to convert any video format (such as AVI, MPG, MPEG, MKV, MOV, WMV, etc) to iPod-compatible video. iPod Free Video Converter supports all versions of the iPod, from the 5G to the 5th generation. Due to its simplicity, iPod Free Video Converter can be used by everyone, just select the video files and then click the button “Convert”.